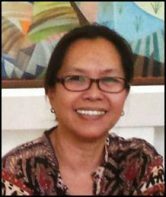 This briefing by Mae Buenaventura of the Asian Peoples’ Movement on Debt and Development explores the gender dimensions of the IMF’s key fiscal policy advice on resource mobilisation in developing countries, in particular on Value-Added Tax (VAT). It seeks to give an overview of the IMF’s policy advice on tax reform, primarily the use of VAT. 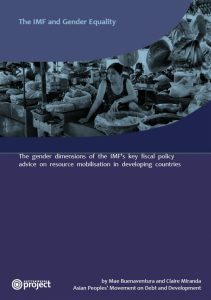 It reveals VAT’s importance to alleviating poverty, promoting women’s rights and advancing gender equality; and put forward policy and advocacy recommendations for equitable and gender-fair measures in resource mobilisation. Developing countries face huge resource needs to finance their development, including financing women’s rights and gender equality. In the context of these urgent social needs, VAT is a key mechanism of tax systems worldwide. The IMF, the World Bank and other international financial institutions have consistently championed the adoption and increase of VAT among developing countries. However, VAT has not always produced such clear-cut positive outcomes as the IMF likes to suggest, as manifested in the experiences of developing, low income countries based chiefly on agriculture, and marked by large informal sectors, governments captured by elites, weak administrative capacities and low literacy levels. To varying degrees, VAT policy practice in developing country contexts indicated regressivity, meaning that it exacted proportionally steeper costs from the very vulnerable groups that could have benefited most from the increased revenue, and less from higher income groups. 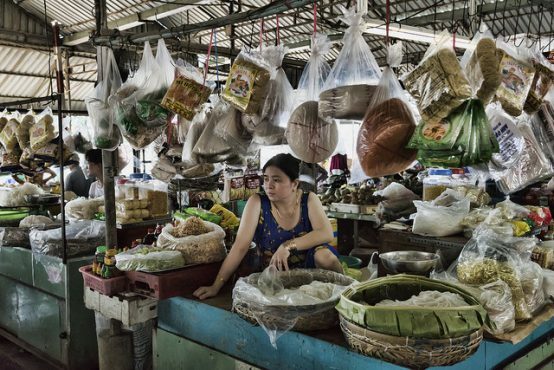 Other important features of developing economies are also largely ignored by VAT proponents, such as the existence of large informal sectors where many economic activities are beyond the reach of the tax. This has implications for gender equality.